The Nikon Z6 (Amazon, B&H) has a new lens mount, the Z-mount, and this means new native lenses. In this mega-article, let’s go over the most useful lens options for the Nikon Z6, specifically for video and cinematography. Starting with the mount itself. What is a “native” lens? Full control of autofocus, vibration reduction, iris, zoom and focus control. Electronic metadata like iris, focal length, distortion, fall-off, focus, etc. Continuous auto focus for video. What native lenses are available right now? So far, third-party manufacturers have not released Z-mount lenses. E.g., Sigma has lenses in the F-mount and even the newer L-mount, but not the Z mount (according to their website). But I’m sure they will come soon. Are native lenses good for video? It depends on what type of video you’re into. If you’re into vlogging or travel videos, or some unchallenging wedding or corporate work then maybe it will be fine. However, for any cinema-type work – shorts, features, web-series, etc., they are not useful due to the impossibility of consistent follow focus. I speak more about it in my comprehensive real-world review of the Nikon Z6. To be honest though, even though the lenses seem fine as far as image quality is concerned (the 50mm f/1.8 S I have is stellar) I can’t seriously recommend them for professional video shooting or cinematography. To make matters worse, as you can see from the roadmap above, it’s going to be sometime before they give you a full kit enough to handle different video situations, so you’ll have to complement them with third-party lenses. However, in the future, if Nikon gives us the option to switch off focus-by-wire and give us linear focusing, then the lenses will become relevant again. The picture will be clearer by the end of 2020. Well, if these lenses are not recommended, what about Nikon’s older lenses? The key here is to use manual lenses, simply because the autofocus is not very practical even for basic level motion. This is true of the original Z lenses, and any older lenses adapted with the FTZ adapter is worse, period. 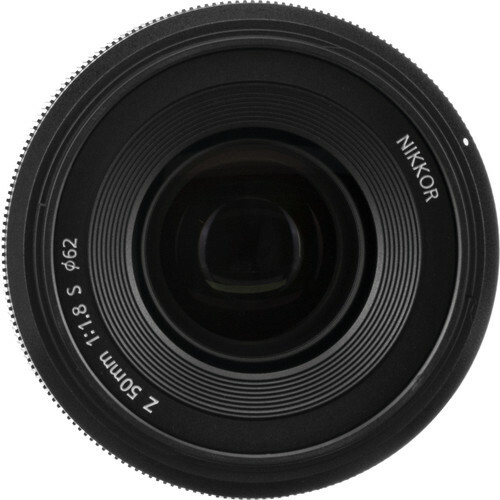 Tip: If you can’t live without autofocus, stick to Nikkor Z lenses as listed above. When you can and want to control the focus, that’s when. Professionals use follow focus systems, but even if that’s overkill for you, you need to ensure the focus ring on the lens is solid, smooth and reliable enough to consistently nail focus. The Nikon Z6 (Amazon, B&H) has focus peaking as well as a zoom-in feature, so you can nail focus by looking at the back LCD. The single greatest advantage prime lenses have in general is they can open wider than zooms. You can go down to f/0.95 if you wanted to! Nikon has announced the 58mm f/0.95 S Noct (Amazon, B&H). The third advantage of prime lenses are they have lower breathing, while the zoom lenses (photo) breathe and are not parfocal. You might want to get a 50mm (35mm equivalent) as your first general purpose lens. Even though the Nikon Z6 (Amazon, B&H) has a crop factor of 1.1 via HDMI in 10-bit mode, I wouldn’t take that into account because it’s a very small difference. What are the best budget prime lenses for manual focus? 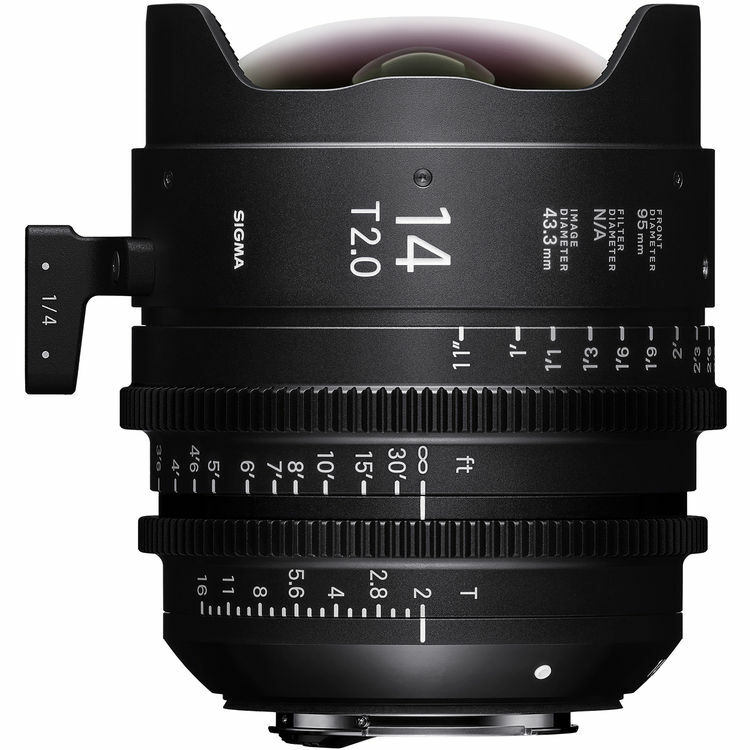 Super wide angle: Samyang 14mm T3.1 Cine for the Nikon F mount (Amazon, B&H) – I own this lens. 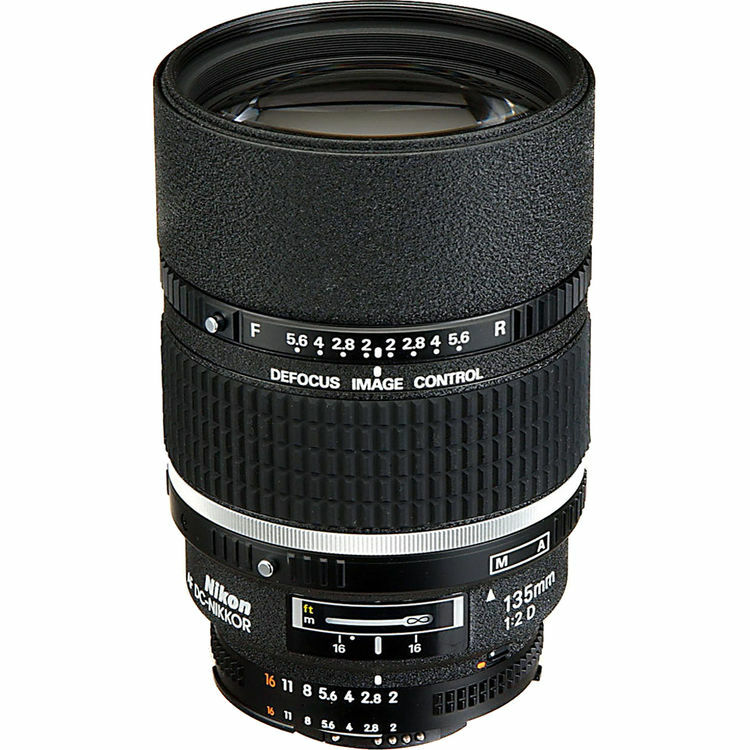 Great mid-range option: Nikon 50mm f/1.2 (Amazon, B&H) – I own this lens. Telephoto: Nikon 85mm f/1.4D (Amazon, B&H) and Nikon 135mm f/2D (Amazon, B&H) – I own this lens. Super-telephoto: Nikon 200mm and others (Amazon, B&H) – but these are expensive and huge. Smooth focus ring that can be used for follow focus. Great image quality for video work. Built like tanks and not plastic. You can control aperture via the camera if you stop down to the smallest aperture. Available worldwide, and it’s easy to find replacements if you lose one. What are the best budget Nikon zoom lenses for manual focus? All of these lenses are adapted with the FTZ adapter (Amazon, B&H). Why not the original D-series zooms? Well, it’s hard to find good copies, unlike the primes, and secondly, the image quality benefits of the newer G-series in this case warrants it. Even though the price is higher, since you only need three lenses, it’s well worth it. 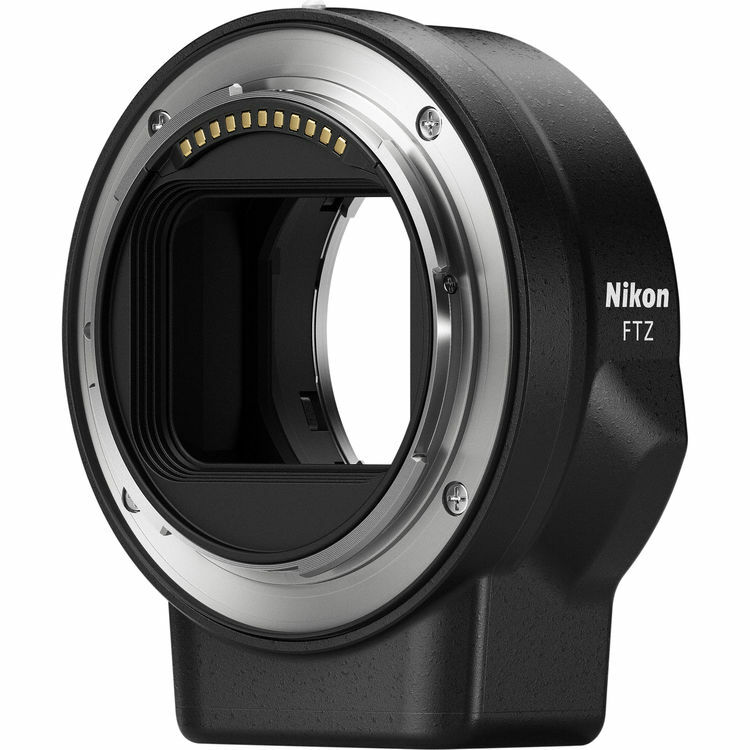 Optional: Provides contacts that allow you to control aperture, zoom, focus, etc., from the camera itself, like the FTZ adapter (Amazon, B&H). There’s no glass in the adapter, no lens or optics. It’s just hollow inside. The coolest thing about the Nikon Z-mount is, it is right on top of this list. So you can pretty much adapt any lens designed for full frame to the Nikon Z mount. Which makes it really hard to give a recommendation because people pick lenses for a multitude of reasons. Personal taste and aesthetics factor big time in any decision. However, it is hard to argue against this next list in terms of performance and value for money. The package is unbeatable in my opinion. What do I prefer? I like Leica R primes, but they are hard to find or recommend for everybody, and the price is high. You need to find a good copy, and maintenance is a problem as well. This applies to most older or esoteric lenses. If I’m recommending a lens, it should be available to purchase for most people worldwide, must be serviceable, and must offer tremendous value for money without sacrificing quality. For super-telephoto, nothing beats Nikon’s own line. You can purchase any of these lenses for the Nikon F mount and adapt them with the FTZ adapter (Amazon, B&H), or hopefully in the near future, the Z-mount directly. The other option you might want to look at is Zeiss Milvus in the Nikon mount. Even though these are stellar lenses, on the whole they offer similar image quality to the Sigma line, but at higher prices. There are really great full frame lenses, like the Arri Signature Primes or the Leica Thalia, but these are rental items, hardly available for purchase for us “regular folk”. More practically, you could either go with Zeiss CP.3 primes or better yet, with Sigma Cine lenses in the PL mount. I prefer the latter, the range is just too much value for money, and it goes up to T1.5! I would use these with a PL to Nikon Z adapter. There are many other lenses that cover full frame. For more names, check out my Arri Alexa LF review. The only other lenses I should note that I would personally test against the CP.3s and the Sigma cine lenses are the Tokina Cine Vista Prime lenses. The major disadvantage of the Tokina lenses are they are extremely heavy. Just to compare, a Tokina 50mm T1.5 weighs 2.11kg, while the Sigma cine 50mm T1.5 weighs 1.21kg and the Zeiss CP.3 50mm T2.1 weighs 0.77kg. How many people would go for such a heavy lens with a camera like the Nikon Z6 (Amazon, B&H)? Even though it’s possible, it’s not practical for most people, which is why I didn’t recommend it. But if you feel like it, then why not? 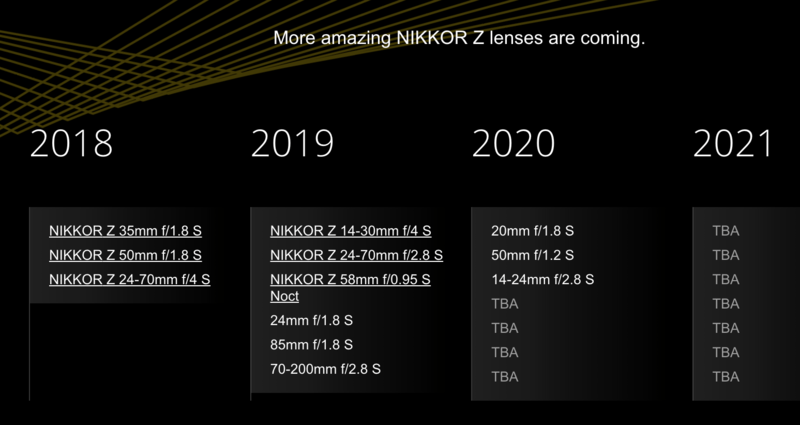 To be honest, these are not lenses a Nikon Z6 owner is likely to purchase (except the Tokina), as they are way too expensive. For this reason, if you need zoom lenses, it might be better to just purchase Nikon zoom lenses as listed above, or get them cine-modified by Duclos Lenses if you have the budget. I’m not a big fan of re-housing, waste of money, if you ask me. Just get them de-clicked with focus gears. That’s it for my list! If you have any suggestions or recommendations please let me know in the comments below. Some of the information is dated. Presently, there are a couple of companies that make fd to Z mount adapter that work well and don’t wobble at all. I’ve been shooting on them since January. There are also EF (no electronics) to Z mount–I use them with Rokinon lenses. And another company makes M42 to Z mount. My FD to Z mount lenses work well for what I do. I had the focus rings worked on and they are buttery smooth. I hate using the FTZ adapter, because it prevents me from using my Z-finder. What a terrible adapter design! Just because you have adapters doesn’t mean the lenses can be recommended. Professional filmmakers need color matched (or at least as close as possible) lenses, and in this respect I would never recommend FD or M42 lenses to anybody.